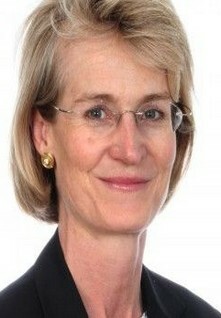 The “judge” who dismissed Assange’s case yesterday was “Lady Arbuthnot of Edrom”, wife to Tory peer, former Tory junior Defence Minister and government whip Lord James Arbuthnot. Not to mention Chairman of the Conservative Friends of Israel. Arbuthnot was naturally Eton educated, the son of Major Sir John Sinclair Wemyss Arbuthnot. Of course Lady Arbuthnot’s children were all sent to Eton too. At the first hearing, I was stunned by reports of completely inappropriate comments by Lady Arbuthnot, including responding to representations about Assange’s health by the comment that medical care is available in Wandsworth prison. As the official charade is that Assange is wanted for nothing but jumping bail, for which a custodial sentence is rare, that callous attempt at gallows humour was redolent of Arbuthnot’s Tory mindset. She also remarked – and repeats it in yesterday’s judgement – that Assange has access to fresh air through the Embassy’s balcony. That is simply untrue. The “balcony” floor is 3 feet by 20 inches and gives no opportunity to exercise. Julian does not have access to it. He is confined to a small area within the Embassy, which still has to function. The balcony is off the Ambassador’s office. He has been given access to it on average about twice a year. But “Lady” Arbuthnot showed a very selective attitude to getting at the truth. The truth is that just last week the evidence was published which inarguably proves that the questioning for sexual allegations was only ever a charade to secure Assange in custody for deportation to the US, to face charges for publishing the USA’s dirty secrets. In 2013 Sweden wished to drop the investigation and the arrest warrant, and was subject to strong persuasion from the Crown Prosecution Service to maintain the warrant. This included emails from the CPS telling the Swedes “Don’t you dare” drop the case, and most tellingly of all “Please do not think this case is being dealt with as just another extradition.” That last exposes the entire pretence in just one sentence. It is worth noting it was not the servile UK corporate media, but the Italian journalist Stefania Maurizi and the Italian newspaper Le Repubblica which obtained these emails through dogged freedom of information requests and High Court proceedings. These revealed the quite stunning truth that the CPS had systematically destroyed most of the highly incriminating correspondence, with only accidental copies of a few emails surviving to be produced in response to the FOI request. The CPS emails devastate the official charade, which is precisely that this is just a normal extradition case. Furthermore it is admitted at para 43 of “Lady” Arbuthnot’s judgement that the Crown Prosecution Service actively referred the Swedish authorities to Wikileaks activities in the United States as a reason not to drop the arrest warrant, a fact which the UK mainstream media has still never reported and which obviates “Lady” Arbuthnot’s trite observation that there is no evidence that Sweden would have extradited Assange to the USA. “Lady” Arbuthnot takes it upon herself to contradict the judgement of the UN Working Group on Arbitrary Detention, every one of whose members is a much more eminent lawyer than “Lady” Arbuthnot. The UK had of course every opportunity to raise the points made by Lady Arbuthnot in its appeal to the UN, which appeal also failed. “Lady” Arbuthnot’s attempt to undermine a judgement by going back and disputing the actual facts of the case, with no opportunity to answer, is, to say the least, a creative piece of judicial process. But as with her failure to pursue the CPS’ destruction of evidence, it is just an example of her most obvious bias. “Lady” Arbuthnot set out with one clear and evident purpose, to assist the Crown. “Lady” Arbuthnot has perhaps performed an unwitting public service by the brazen nature of her partiality, which exposes beyond refutation the charade of legal process behind the effort to arrest Assange, in reality over the publication of USA secrets. The second half of Para 57 of the judgement sets out how, following his arrest for “jumping bail”, the American extradition request on espionage charges will be handled. I should like to conclude that “Lady” Arbuthnot is a disgrace to the English justice system, but I fear she is rather typical of it. This intellectually corrupt, openly biased, callous Tory shill is rather a disgrace to humanity itself.